During the great Monkey Year Transmissions in Schneverdingen we heard about the plan that S.E. 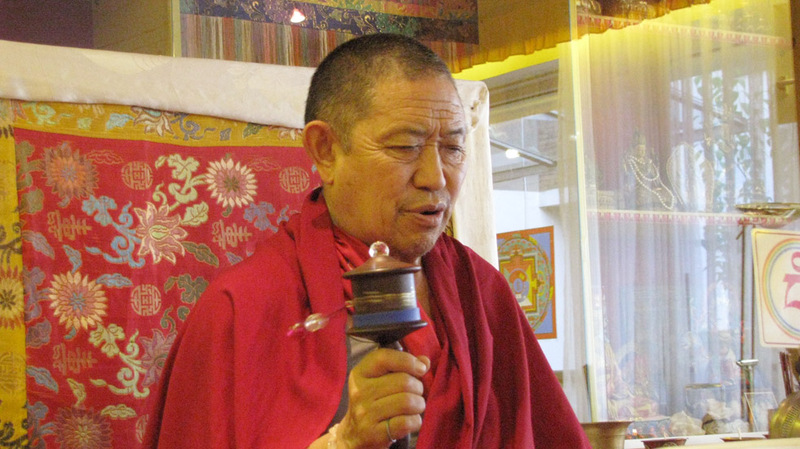 Garchen Rinpoche will probably travel to Tibet again in 2017, to ensure the continuance of the lineage there. Therefore, the representatives of the Drikung centers in Germany met and expressed the strong wish to practice together for the health of H.E. Garchen Rinpoche and for his remaining in this world for a long time. 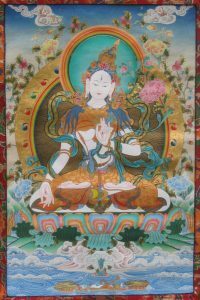 For this purpose, especially the meditations of White Tara, of Achi Chökyi Dölma and of Buddha Amitayus are suitable. These will be practiced from now on in the Drikung Centers on Wednesdays and Sundays. We would like to invite all members of the Sangha to join in these practices and by doing so to strengthen the bond to Rinpoche. In some centers, there are already fixed meditation times. For example, every Sunday from 10-12 a.m., a White Tara practice takes place at the Drikung Garchen Institute in Munich. In astrological terms, especially Wednesdays are suitable for long life practice and long life prayers. On those days you can do your practice alone or you use the opportunity to meet at your center. Doing so, you can recall that everywhere in Europe people are connecting in their practice and are praying for Garchen Rinpoche. Another important date is Rinpoche’s birthday on 14 April 2017. 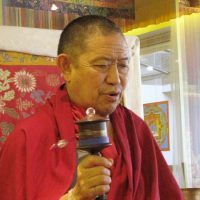 We ask everybody who is connected to this precious teacher to reinforce their practice during the coming months and to dedicate the merit to Rinpoche. as Chödingpa, the heart son of Jigten Sumgön. May the life of the glorious Garchen, remain steadfast for a hundred eons! protector, in nature the indivisible three kayas, protect us! sits in the center of a white lotus, holding an utpala. Wish-granting Chakra, bestow immortal life! yet its cool rays nurture the white lilies of the lower slopes. May Garchen, the moon that benefits others, live long! he is girded with the armor of wisdom, morality and good heart. may Garchen, lamp flame of definitive meaning, live long! May Garchen, the sun of the teaching, live long! this wish-granting supplication is wonderful. be accordingly and spontaneously accomplished without hinderance! At the request of the monks Karma Drodül and Drukseng of Lho Lungkar Monastery and others, this was composed on the 29th day of the 12th month of the water monkey year  in the 17th cycle in accord with all aspirations by Könchog Tenzin Künzang Trinle Lhündrup, the one blessed with the name of the Victorious Drikungpa. May it bring virtue.